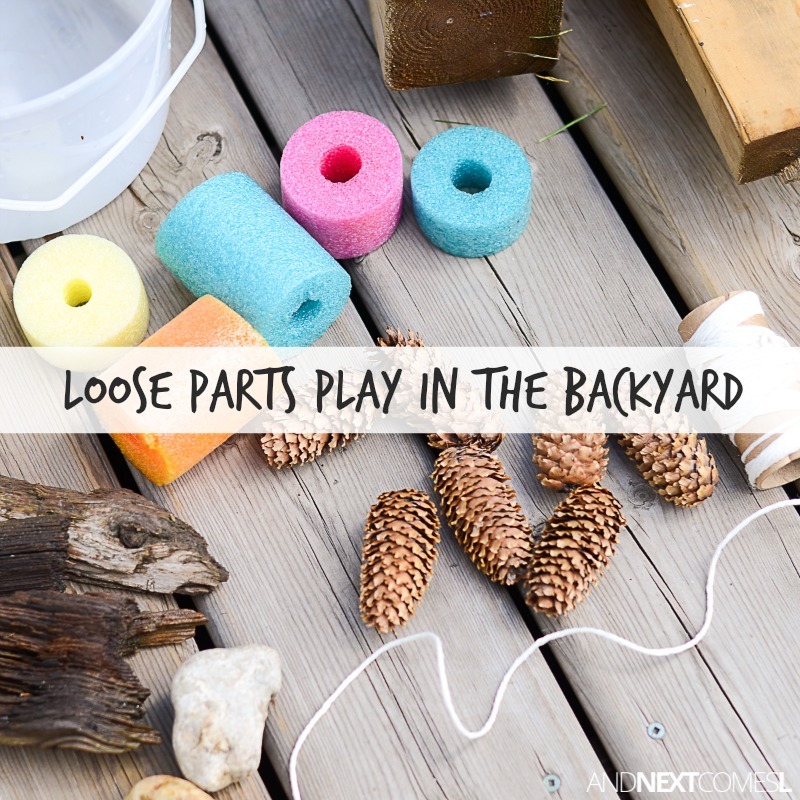 Loose Parts Play in the Backyard: What are Loose Parts & Why are They Beneficial for Kids? One of the best ways for kids to play and learn is by exploring with loose parts. We play with loose parts both indoors and outdoors all of the time, but since it is almost summertime (yay! ), I'm sharing the benefits of playing with loose parts in the backyard, including a list of free or frugal items to let your kids build and explore with. The best part about using loose parts is that you can use scrap or spare items you have laying around in your house, garage, or yard OR you can even go on a treasure hunt to collect natural materials such as pinecones, rocks, or sticks. That means you can provide hours of entertainment and learning to your child(ren) for practically nothing. Frugal and fun! In the full post on CBC Parents, I explain what loose parts are, include a list of materials that can be used, explain the benefits of loose parts play, and offer alternative solutions for those of you in small spaces (i.e., without backyards). I even show you a few different ways that my kids have explored using the materials featured in the photos you see above and below.